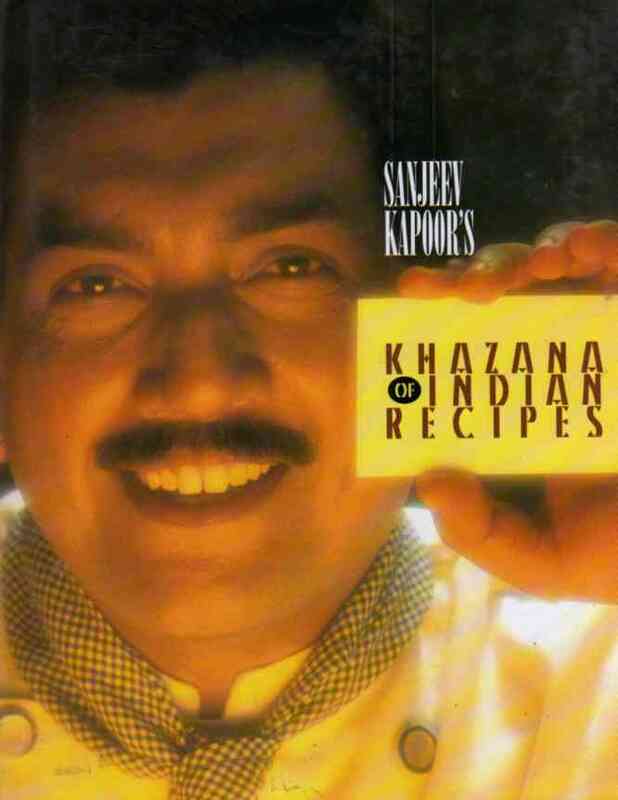 Sanjeev Kapoor is the popular and charismatic host of the Indian TV show Khana Khazana. He has been presenting this award-winning programme since its birth back in 1993 and it has been the vehicle that has made Sanjeev a household name in India. It has also allowed him to take centre-stage promoting Indian food worldwide and this book brings you, the international audience, a chance to try for yourself some recipes that have made Sanjeev Kapoor such an icon. Khazana of Indian Recipes is a general cookbook rather than one with a focus on a particular type of cuisine, regional food or healthful ingredients. This gives the reader an overview of typical recipes that might even be familiar to those of us who live outside India. Such is the draw of Indian food that even those who steer clear of the kitchen will have already eaten some of these dishes in restaurants or at the homes of friends. Khazana of Indian Recipes will persuade even a novice that Indian food is easy to prepare, with ingredients found in almost every western supermarket. Those living in India will enjoy this book as a good representation of dishes you will honestly want to cook. A general cookbook should have a bit of everything and Khazana of Indian Recipes does. Soups and Salads, Snacks, Chicken, Lamb, Seafood and Vegetables along with Accompaniments, Breads and Rice are all here, as well as a tempting selection of sweets. A glance through the pages of this book will give you the impression that Indian food is quick and easy to prepare. The majority of dishes have only a few paragraphs of instructions. Don’t be put off if a couple of recipes sport a lengthy list of ingredients. Closer inspection will show that the majority of those items are spices that will doubtless be already gracing your shelves. Yes, I have favourite recipes but there are a lot of them. Batata Vada, Kheema Potli, Murgh ke Shami must be near the top of the list because I love snack foods. Malai Kofta Curry would be my pick for a non-meat dish; Prawn Balchao for my favourite seafood choice and Chicken Makhani for that rich and decadent meal that we all need from time to time. None of these dishes is difficult and every one will be superior to those found in all but the best restaurants. But let me just mention some of the sweets that I adore and would cheerfully have broken an arm for… well, before I found the recipes. Besan ke Laddoo – few ingredients but the result is worth more than the sum of its parts. Chocolate Burfi with only 4 ingredients should be made a national treasure. Khazana of Indian Recipes might be the book for you, even if you have only space for one Indian cookbook. It’s clearly written and honestly shows that Indian meals take no time at all. Throw away the take-away menu, find the map to the kitchen and dust off the hob.